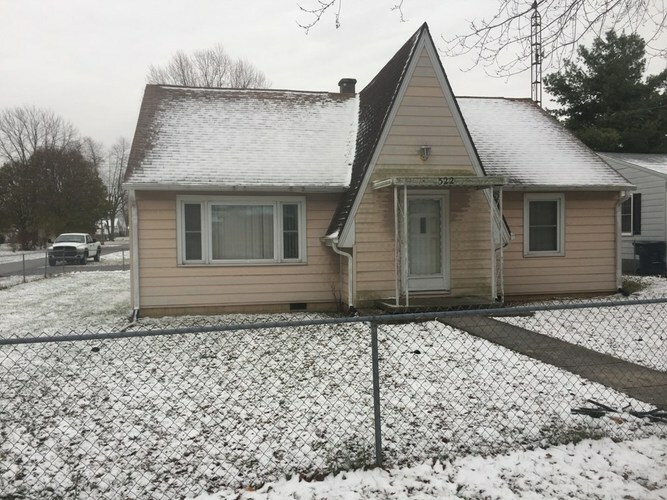 Nice STARTER HOME or rental, this home located on the east side of Muncie features a large corner lot (partially fenced) with plenty of room for garden or pets, two-car detached garage (w/door openers), gas furnace and water heater along with central air conditioning and replacement windows! This home would make a great STEP UP HOME! This home will be offered via BUY IT NOW pricing through December 31, 2018. If no accepted offer by December 31 this home will proceed to auction. Call for your personal showing!